Congratulations! You’re on the path to medical school. You’re about to start one of the most challenging–and rewarding–times of your life. Here are a few tips that might help you succeed in medical school. This has been a big lesson for me as I have moved through my first few years of medical school. I used to think that if I just put in more hours–by waking up even earlier, staying at the coffee shop until close on that many more weekends, staying awake that much later–that I would finally be able to master all of the material that was endlessly flowing my way. But the beauty (and challenge) of medicine is that it really is endless. There will always be more than you can master, so you need to work smarter, not just harder. Find people who learn like you, and learn with them. Split up outlines from lecture if it makes sense to do so, and tackle them in sections. Talk through difficult concepts with friends. Print out pictures and draw connections. Share flashcards. Focus on your weak spots, even though it’s less fun. If a technique isn’t working for you, don’t just power through; pivot to something new. 2. Develop and maintain a good relationship with food. Now that you’re in medical school, it’s likely that you no longer have a meal plan at a cafeteria. You get to decide what types of foods you eat each day, how you pack (or don’t pack) meals away from home, and what types of foods you snack on during those late nights of studying. There is no question that this time is stressful; time to slow down and eat might turn into a hassle, grocery shopping trips might seem impossible, ordering take-out each night might seem tempting, and skipping meals so you can skip the gym might seem like a fine trade. Stop! You’re in this for the long haul and your body needs to be resilient–feed yourself as such. Appreciate the role that fruits, vegetables, grains, and dairy play in feeding you. This mentality will help you develop habits that will last a lifetime. You will council patients on these very techniques. Start now. Your student brain and future self will thank you. 3. Be smart about your debt. Because of the high costs of medical school, most students need to take out sizable student loans in order to attend. First of all, this is okay. You don’t have to be afraid of debt, but you do need to be smart about it. You need to know how to log onto your online account and look at how much you’ve taken out. You need to know what the interest rate is. When it’s time to repay, you need to know what your repayment plan is. Financial knowledge makes a student strong, independent, and smart. Money can feel overwhelming and sometimes even faux pas to talk about, but it is so important that you’re being intentional in how you manage yours. 4. Keep a USMLE Prep Book open at your desk. This is something I wish I would have done right from the very beginning. I bought a USMLE prep book in my second week of school, but I didn’t really crack it open until halfway through my first year. Now, I keep it open to the section I am learning as I am learning it, paging through the high-level content in the textbook. This helps me focus my classroom learning while also assuring that by the time I am buckling down for my Step 1 studying, I have already seen a large portion of the book. 5. Do not talk badly about other people. Frankly, it’s not worth it, it doesn’t make you feel any better, and it’s not the person you want to become. This advice comes in handy in a professional life, in medical school, and in working in a hospital or clinic too—so might as well just start flexing those muscles now. This shouldn’t have to be said, but I still see people showing up late or even missing appointments, even in medical school. Yes, you’re still a student, but you’re also a professional now. Show up on time, well-dressed (no, you cannot wear leggings), and prepared for your professional commitments such as classes, meetings, and clinicals. Lectures can get long and your mind is going to feel fried by the end of the day. You’ll miss old friends and want to keep up with them on social media. Despite these things, don’t scroll through Instagram when someone is telling a story. Stop texting and talking at the same time. Turn off your notifications for Snapchat. Despite thinking you can multitask without your attention being divided, you can’t. No one can. Be present for the people around you. This is good practice for how you will interact with patients in clinic, and you can start implementing it during lectures and your day-to-day interactions. Anna Ayers Looby is an MS2 at the University of Minnesota Medical School – Duluth campus. 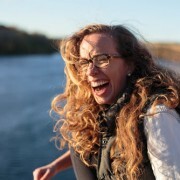 After a gap year in Argentina, undergraduate at Gustavus Adolphus College (degrees in Sociology, Anthropology, and Peace Studies), and graduate school at the University of Minnesota (Masters of Public Health in Epidemiology with a concentration in Public Health Policy), she worked as a state and national advocate in public health policy. Anna is the Director of HOPE Clinic, the free student-run clinic based out of the homeless shelter in downtown Duluth.